Offered at Neighborhood Academy of Music, 112 Butternut Lane, Clayton on Fridays from 4:30 – 5:45pm for a one time registration/materials fee of $75.00 and monthly fees of $65.00 for ease of budgeting. Young children who continue Kindermusik class into early school age with Kindermusik for the Young Child will develop a greater capacity for learning and a lifelong love of music. The ownership of their own glockenspiel and eventually dulcimer and recorder give the child hands-on instrument playing experiences in a group setting. In Kindermusik class, your budding musician will be introduced to fundamental musical concepts, notation, and the basics of vocal development. Children explore a wide variety of musical styles and the instruments of the orchestra through group ensemble play, music, games, and stories from many cultures. Young Child prepares the young child who is eager for first experiences with musical symbols and instrument discovery but is not yet ready for formal lessons and traditional music reading with an instrument. These classes are a musical learning experience that sets the stage for future school success and the transition into formal music lessons. Class is held on Fridays, Semester 2 begins February 28th, 2014 at 4:30pm-5:45pm. Reading and writing — Young children will learn melodic notation and identify pitches such as the C, A, and D notes on the treble clef, plus rhythmic notation. Eventually even composing their own music. Semester Two — Playing simple musical patterns and songs on the featured instrument from the first session—the glockenspiel—is a central focus this semester. While learning to sing a melody, and then play the pattern on the glockenspiel, we’ll delve deeper into the understanding of musical concepts such as piano and forte through orchestra-style music such as the William Tell Overture and Peter and the Wolf. Music appreciation and understanding continues with a complete introduction to the instruments—and the families in which they’re grouped—of the orchestra. Home Materials: Children’s Folder with stickers, games bag, and Music At Home Cards, Family Songbook, and Home CD of music from class. Lessons 16-19: Toot Toot! Train is a ‘Comin: Music is in the sound of a train, and the song of a bird, the cheer of a crowd at a ball game and in the family of instruments that make an orchestra. Careful listening will unlock the door to understanding and enjoying the world around us. Lessons 16-19: Music for Special Times: Whether it is Happy Birthday or Here Comes the Bride, music defines our celebrations. Your child will celebrate learning music as we discover where notes live on the musical staff, how both quiet and loud are exciting and how making music is a cooperative adventure. Lessons 20-23: Music Moves Us: Loud or quiet, heavy or light, happy or sad, music provides a way for your child to understand, experience and express all of this and more. Join us as we meet the great composer Beethoven compose a song about an elephant and a waterfall and learn about the family of string instruments. Lesson 20-23: Musical Emotions: Learning to use music to change the way we feel is good idea. Music has the power to help us calm down, rev up, day dream, or focus. How does that happen? We will explore this idea and learn about one of the world’s most famous composers, Ludwig Van Beethoven. Lessons 24-27: Does It Bounce or Does It Fly? What draws us all to music is its many flavors or variation, in volume, intensity, smoothness, or sharpness. We are discovering how to listen carefully to identity these sounds, then lets – MOVE like this: glide, fly, slither, float, jump, bob, boing, trot. PLAY these: drums, triangles, shakers, woodblocks, chimes. DRAW pictures of what we are hearing. We have a flavor for every learner! Lesson 24-27: Musical Games: It is so fun to learn through music! Circle Round the Zero, Che Che Koolay, The Music Machine and We are Dancing are all games we will use to learn more about our rich musical world. Lessons 28-30: Sing and Celebrate! The instruments of the orchestra are a wonderful collection of families! String, brass, woodwind and percussion – beautifully introduced in our focus piece for this unit: Peter and the Wolf. Lessons 28-30: Meet the Orchestra: Families Just like our families, instruments belong to a family too. They look, feel and sound similar. Join us as we explore the orchestra – Woodwind Family, Percussion Family, Brass Family and String Family – as depicted in the classic story by Sergi Prokofiev; Peter and the Wolf. Taking names to begin a class at Neighborhood Academy of Music. Cost will be a one time registration fee of $25.00 and monthly fees of $50.00 for ease of budgeting. From the moment you became a parent, you wanted the best for your child. In class, we engage your child in music and movement activities that also promote language, social and emotional skills, early math and early literacy, physical coordination, creativity, and more. Plus, your child will learn basic music vocabulary and notation—all setting the stage for future school success and formal music lessons. Parents join the fun for the final activities. 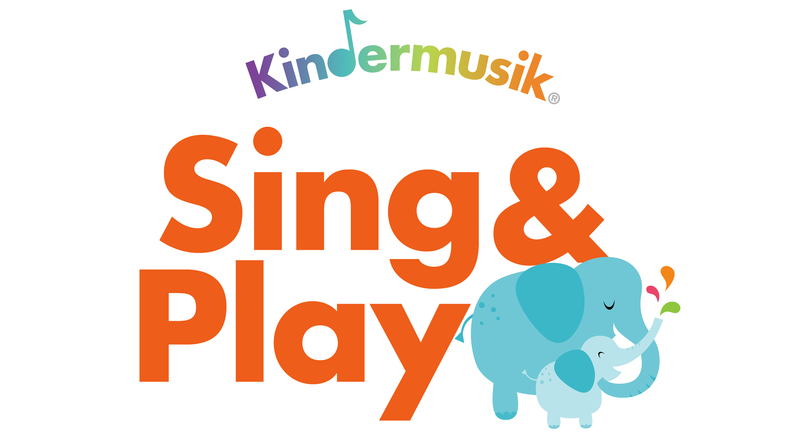 The Kindermusik@Home digital home materials extend the benefits all week long with music from class, activities for the whole family, and each month’s story. Our 4 week units will continue year round and as long as you are enrolled you will also be eligible for any Playdates or Special Occasion events at no additional cost! Here is what to expect with your digital home materials… 80% of the content is parent focused and the other 20% gives you the parent the choice of using screen time or not. Each Move & Groove unit’s digital home materials page contains an abundance of unit-specific, age-appropriate materials and activities – all tied to the class content. The digital home materials are built specifically to make it fun and easy for a parent to connect class-time to home-time, and to enrich both experiences. Everything a parent needs to read the class story, play a game, do a finger play or dance, teach new words or instrument sounds, plan an activity, do a craft, follow a recipe, take a “field trip” (real or imagined), or play pretend . . . it’s all in one spot! · Music downloads All of the songs, rhymes, stories and sounds from class are easy to download and add to your music collection. · Every unit’s literature book is included in e-book format, with pages you can turn yourself, and a page-by-page audio read-aloud that you can turn on or off. The eBook can be downloaded and printed if you prefer! · Activity buttons take you to a variety of different activity types, including dance and movement instructions, finger play demonstrations and instructions, together-in-the-kitchen activities, music time, listening games, vocal play activities, video field trips, find-it/count-it style activities, ideas for pretend play, and more. · The Why It’s Good for Your Child area fills automatically with information about why any specific activity or activity type is useful, important, or developmentally significant. Addressing the parent directly with up-to-date, research-supported, clear and friendly information, there’s a “why it’s good” feature for every single activity. · In addition to the music downloads and e-book, the Download Center also includes Printable Activity Pages and, for the first time, Printable Lyrics Pages for all of the songs in the unit. · Listen to the music at every available opportunity….play it on your phone, pad or tablet while cooking dinner; sing along with it in the car; play it on your phone at the doctor’s waiting room; give your car copy of the CD to grandma for when the kids go to stay OR, even better, if she has a computer or pad, give grandma the log in and password to your my.kindermusik.com account so she can do Kindermusik with them while they are at her house….AMAZING! · Read the book whenever you can….bedtime, on your smartphone at the doctors…. When you are trying to do work on the computer and your child pesters you to do something at the computer (they ALWAYS come over as soon as you sit down alone to do your emails, etc., don’t they? ), promise them one read of Head and Shoulders Knees and Toes or Shoofly Pie; then hopefully they’ll leave you in peace and at least you know you did something EDUCATIONAL on the computer rather than just googled something funny or youtubed a video. · Make something at home to bring into class…this gives them a sense of belonging to the group. Your DHM has crafts and recipes with lots of ideas for sharing! Taking names for a class at Neighborhood Academy of Music. Cost will be a one time registration fee of $25.00 and monthly fees of $50.00 for ease of budgeting. Each Laugh & Learn unit’s digital home materials page contains an abundance of unit-specific, age-appropriate materials and activities – all tied to the class content. The digital home materials are built specifically to make it fun and easy for a parent to connect class-time to home-time, and to enrich both experiences. Everything a parent needs to read the class story, play a game, do a finger play or dance, teach new words or instrument sounds, plan an activity, do a craft, follow a recipe, take a “field trip” (real or imagined), or play pretend . . . it’s all in one spot! • Listen to the music at every available opportunity….play it on your phone, pad or tablet while cooking dinner; sing along with it in the car; play it on your phone at the doctor’s waiting room; give your car copy of the CD to grandma for when the kids go to stay OR, even better, if she has a computer or pad, give grandma the log in and password to your my.kindermusik.com account so she can do Kindermusik with them while they are at her house….AMAZING! • Read the book whenever you can….bedtime, on your smartphone at the doctors…. When you are trying to do work on the computer and your child pesters you to do something at the computer (they ALWAYS come over as soon as you sit down alone to do your emails, etc., don’t they? ), promise them one read of Head and Shoulders Knees and Toes or Shoofly Pie; then hopefully they’ll leave you in peace and at least you know you did something EDUCATIONAL on the computer rather than just googled something funny or youtubed a video. • Make something at home to bring into class…this gives them a sense of belonging to the group. Your DHM has crafts and recipes with lots of ideas for sharing! Spotlight on the NEW Wiggle & Grow for 2s and 3s and Wiggle & Grow Family for all ages! …. Offered at Neighborhood Academy of Music on Mondays at 10:00am-10:45am, and Thursdays at 6:15pm-7:00pm for a one time registration fee of $25.00 and monthly fees of $50.00. Beginning at class at 9:30am on Tuesdays in March! And in our North Raleigh Gymnastics location on Thursdays or Fridays at 10:30am-11:15am for a one time registration fee of $25.00 and monthly fees of $55.00. This music-filled class celebrates the unique joys of your growing child. Each week your child will love singing, dancing, and playing instruments with you and her new friends; and you’ll love helping her practice a wide variety of abilities such as gross and fine motor skills, turn-taking, social skills, and active listening. In class, we’ll also share tips and ideas for using music throughout the week. Plus, the fun (and learning!) continue with the Kindermusik@Home digital home materials, including music from class, musical activities, and each month’s story. The Kindermusik Wiggle & Grow class includes singing and chanting, vocal play, scaffolding, exploration time, instrument play-along, pretend play, music and movement story time, listening, and movement. Each lesson has a specific focus, which is emphasized in that lesson. Examples include fast and slow, up and down, and smooth and bumpy. Each class is organized to flow comfortably with alternation of activity levels. Concepts/Ideas: Reading with children and incorporating reading into your day and routines. This activity can include your child at computer, but print-out and audio are both in Download Center for those who prefer not to use the computer. Physical books are available for optional buy-up by parent in the US; by educators in other countries. Concepts/Ideas: 1 or 2 minutes of video exploration related to theme. This activity invites you to bring your child to the computer briefly, but print-out images are in Download Center for those who prefer zero screen-time. Concepts/Ideas: Video or Screen illustrated games, focus on musical concepts of high and low, fast and slow, etc. Or developmental milestones such as counting, colors, shapes, etc. This activity invites you to bring your child to the computer briefly, but print-out images are in Download Center for those who prefer zero screen-time. Concepts/Ideas: Video or Picture screens with movement ideas. Concepts/Ideas: Illustrated steps for a specific craft activity or recipe. This activity invites you to bring your child to the computer briefly, but print-out images are in Download Center for those who prefer zero screen-time. Concepts/Ideas: Using something you have at home to explore pretend play and imagination. Concepts/Ideas: An activity with music front-and-center. Featuring movement, songs, singing, steady beat, pitch, etc. · Make something at home to bring into class…this gives them a sense of belonging to the group. You DHM has crafts and recipes with lots of ideas for sharing! Offered at Neighborhood Academy of Music on Mondays at 11:15-1200noon beginning March 3rd, 2014 for a one time registration fee of $25.00 and monthly fees of $50.00 for ease of budgeting. Concepts/Ideas: 30-45 seconds of video exploration related to theme (e.g. train, bird ). This activity invites baby to computer briefly, but print-out images and audio are both in Download Center for those who prefer zero screen-time. How do I help my child prepare for flute lessons or any private music instruction! Whether you’ve decided that now is the time to begin private music instruction, or you’re looking to start down the road, there are some great ways to help your child prepare for private music instruction! Here are my top five tips! There are many community events that are age appropriate for your child. Some events even feature an Instrument Petting Zoo, where children can see and even play instruments of the orchestra. What better way to get your child excited for private lessons? In between concerts, listen to recordings of instrumental music in the car, or look for videos of instrument players on YouTube. Some of my favorites flutists are Alexa Still, Jeanne Baxtresser, Emmanuel Pahud, and Mathieu Dufour. Making a homemade flute is a fun project (click here for instructions). This project will provide your child with an inexpensive method of exploring the instrument and will help your child learn how the flute works. Or, you can purchase a recorder. It’s easy to produce sound on a recorder, and their simple construction makes them very easy to hold. These instruments are inexpensive (less than $20), and can be a great way for children to explore wind instruments. Prepare an area for practicing! Practicing is a huge part of learning a musical instrument, and designing a dedicated area in your home can be easy and fun! Designating a specific practice area underscores the importance of practicing, and provides a distraction-free zone for your budding musician. All you need is a music stand, good lighting, your instrument and a chair. A desk or dining room chair works best, and a small stool on the floor can be helpful to keep little legs from swinging. Add some pencils and a mirror, and the practice zone is ready! Read books about flute or your preferred instrument. There are many age appropriate books about the flute for your budding performer. Some of my favorites are “The Magic Flute: An Opera by Mozart” and “Fiona the Flute Fairy.” Check out the website “Flute Monkey” for more suggestions! For children ages 5-7, the Kindermusik’s® Young Child curriculum covers all of the basics of music literacy, and provides a foundation that will benefit the child throughout his/her life. Note recognition, rhythm reading, and ensemble skills are all necessary for music study. If your child is a graduate of a program like this, now is the time to review materials and re-familiarize him/her with concepts of music notation. However, this is not a requirement for private instruction! It simply gives the child a bit more confidence and information going in. If I have a student who is brand new to music study, I like to spend a couple of weeks going over music fundamentals before we introduce the instrument in lessons.